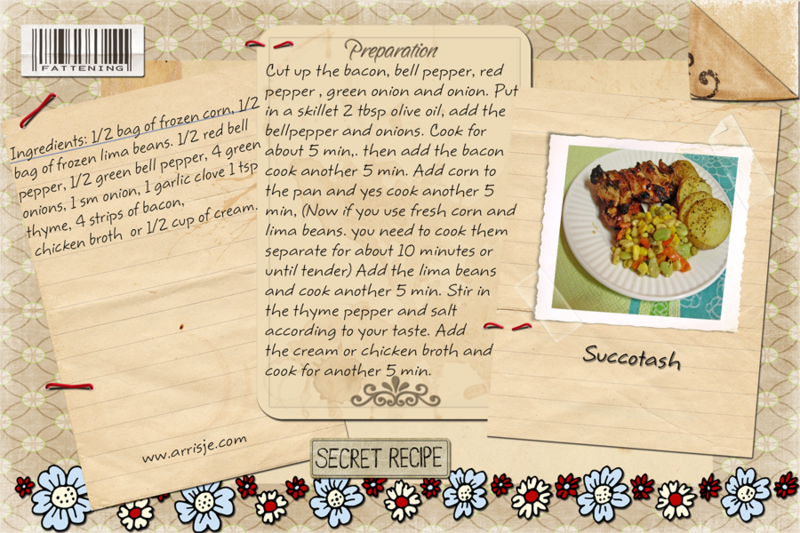 True succotash contains lima beans and corn. The rest seems to be up for grabs. 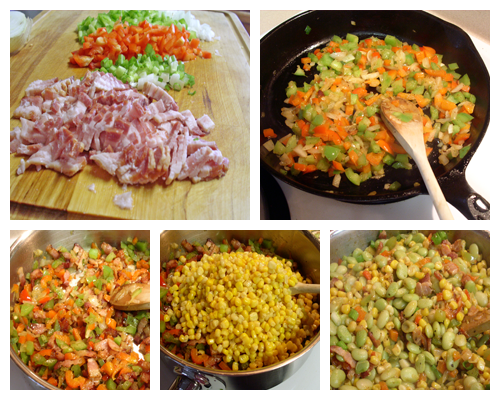 Succotash is thought to be one of the first recipes the Algonquin Indians taught the settlers at Plymouth Rock. 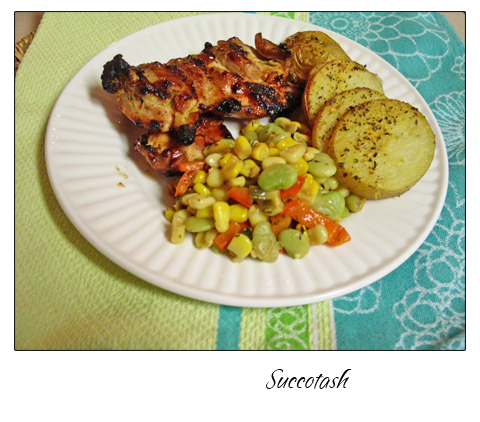 Succotash was also made by the Narragansett Indians, who called it misckquitash, which means “boiled corn”. It is notable that the two primary ingredients are two of the main agricultural crops of many Native American tribes. Cut up the bacon, bell pepper, red pepper , green onion and onion. Put in a skillet 2 tbsp olive oil, add the bellpepper and onions. Cook for about 5 min,. then add the bacon cook another 5 min. Add corn to the pan and yes cook another 5 min, (Now if you use fresh corn and lima beans. you need to cook them separate for about 10 minutes or until tender) Add the lima beans and cook another 5 min. Stir in the thyme pepper and salt according to your taste. Add the cream or chicken broth and cook for another 5 min.